Despite playing baseball, football and basketball growing up, Noah Dickerson always tended to put on weight. 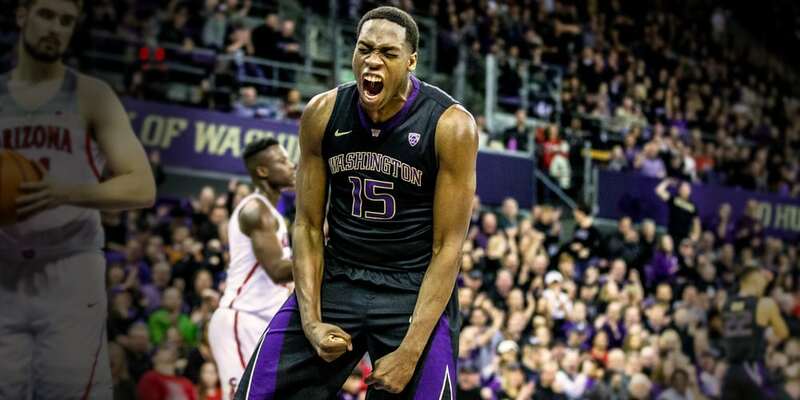 “Naturally, my body wants to get big,” the 6-foot-8 forward says. 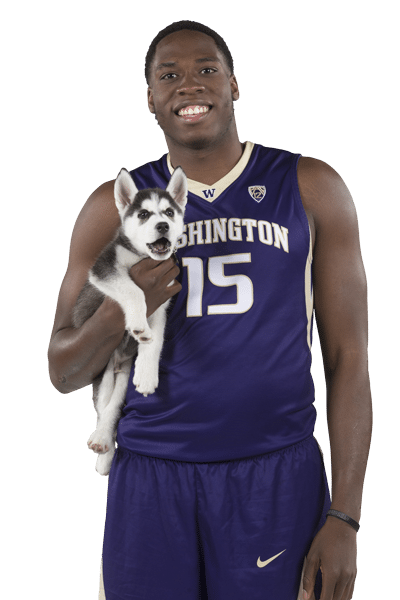 “I have to try really, really hard to stay in shape.” Inspired by the momentum of a winning basketball season and looking ahead to a future in the NBA, Noah turned to UW Athletics’ nutrition and training resources to get into optimum shape. Focusing on reducing his body fat percentage rather than watching the numbers on the scale, Noah increased his strength, speed and agility. “There were many times in my life I thought I couldn’t do it, that I’d always be big, but now I know it’s not going to beat me,” concludes Noah, who also credits adopting his Husky dog, Sosa, for helping him “grow up” and buckle down on his weight.